Western New York Print is located in Buffalo, New York. We strive to be a printing company unlike any other. Accompanied with our high level of quality, is unrivaled, up close and personal customer service. Give us a call and we can arrange a convenient time for us to visit you so we can discuss your printing project in detail. It's that extra level of paramount service that sets us apart from our competition. We provide a highly diverse range of design and print solutions that can meet any budget, any size, or any type of project. In today's busy world, we know your time is valuable, so as an added convenience, we've partnered up with reputable, local Western New York companies that allow us to offer you services beyond printing that will mesh well with your project with us. With our affiliations, WNY Print can provide you with commercial photography and website design services that accompany your printing project with us. If any of these extra services should be required, we proudly work hand in hand with them every step of the way from the time your project is conceived to ensure your project is completed on budget and on time. 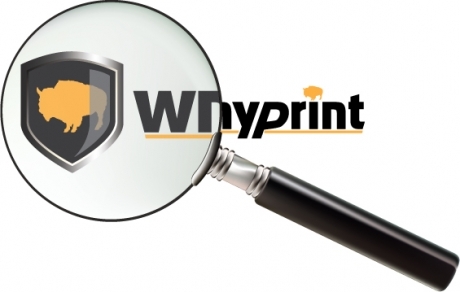 WNY Print is different from other printing companies. We take the extra step to ensure you get the design and printing solutions you want, need and deserve. Your happiness and appreciation for what we provide for you is the most important thing to us. We are your confident choice for any printing project you may have. You'll receive nothing but the best from WNY Print! With years of hands-on experience in the production and design areas of the printing industry, we can assist you with any questions or concerns you may have. With the expense of only a few minutes of your time, we can provide you with a cost effective quote on nearly every printing solution that your business could need. Whether it's a printed necessity for the daily operation of your business, printing needed for your office or warehouse, or something needed to market and promote your business, Western New York Print has you printed!